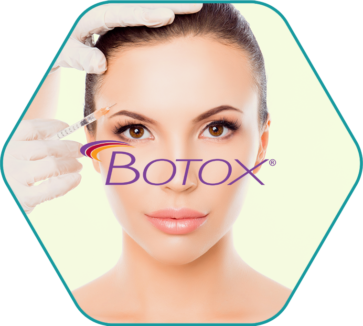 BOTOX® Cosmetic is an anti-wrinkle injection used to treat wrinkles that are created by movement in the face. It’s injected to temporarily improve the look of both moderate to severe crow’s feet lines and frown lines between the eyebrows in adults. Originally developed to combat muscle spasms and cramping, they are actually a highly purified form of botulism toxin. It is injected into specific facial muscles, relaxing them so they can’t contract or pinch.. The 11’s, the brow furrow, the frown lines, worry lines, crow’s feet, and more can all be treated using Botox injections. In our experienced provider’s hands, frequent, small doses of Botox to a variety of areas of your face will create a youthful, refreshed appearance. The Botox treatment takes minutes, has very little downtime, and results start appearing within a week, reaching full correction after two weeks. These Botox results will last for three to five months. Frequent touch-ups prolong its duration — and often require fewer units per Botox treatment. 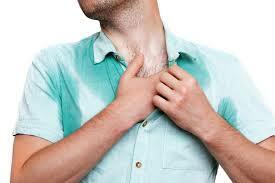 Hyperhidrosis, or excessive sweating, is a common disorder. An estimated 2%-3% of Americans suffer from excessive sweating of the underarms or of the palms and soles of the feet. BOTOX® can be injected to assist with Severe sweating. Botox is FDA-approved for treating excessive sweating of the underarms. Note: This is a cosmetic procedure and we do not bill thru your insurance at our office. Botox is injected into the skin to treat symptoms of severe underarm sweating (axillary hyperdidrosis) when medicines used on the skin (topical) do not work well enough in people 18 years or older. It is not known whether Botox is safe or effective for severe sweating anywhere other than your armpits. Schedule a consultation to see if this is right for you.